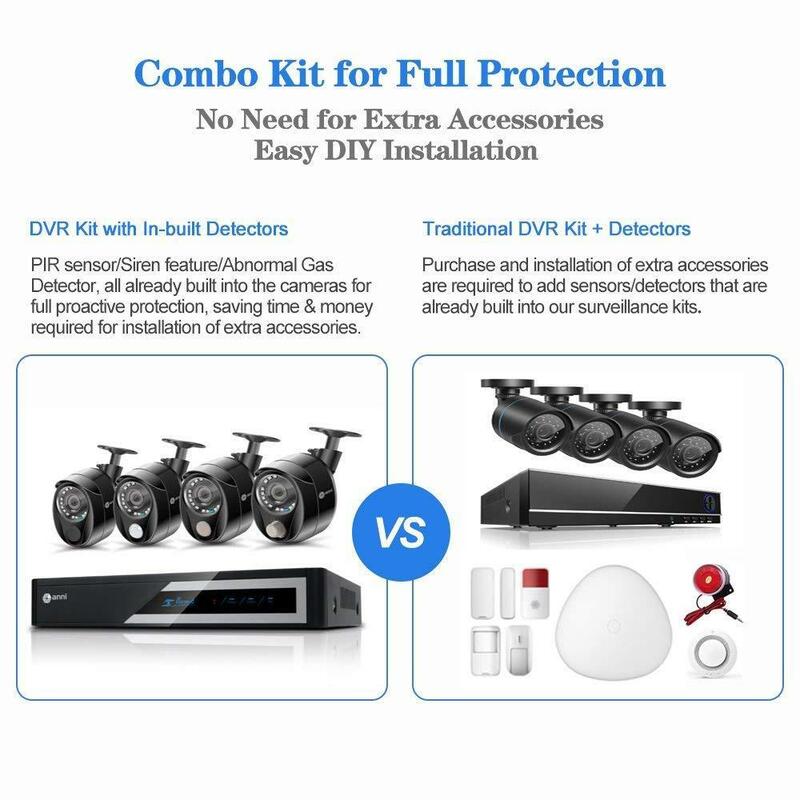 This item is smart DVR Security CCTV System, it integrates monitoring system withPIR detection, abnormal gas detection, siren, and provides all-around fully proactive protection to your home and assets. It supports motion detection record, and there are multiple ways to access on the PC, phone and pad. 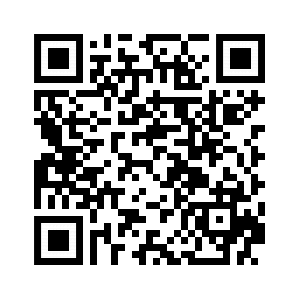 It can be remote viewed by for Android/IOS mobile devices anywhere anytime. 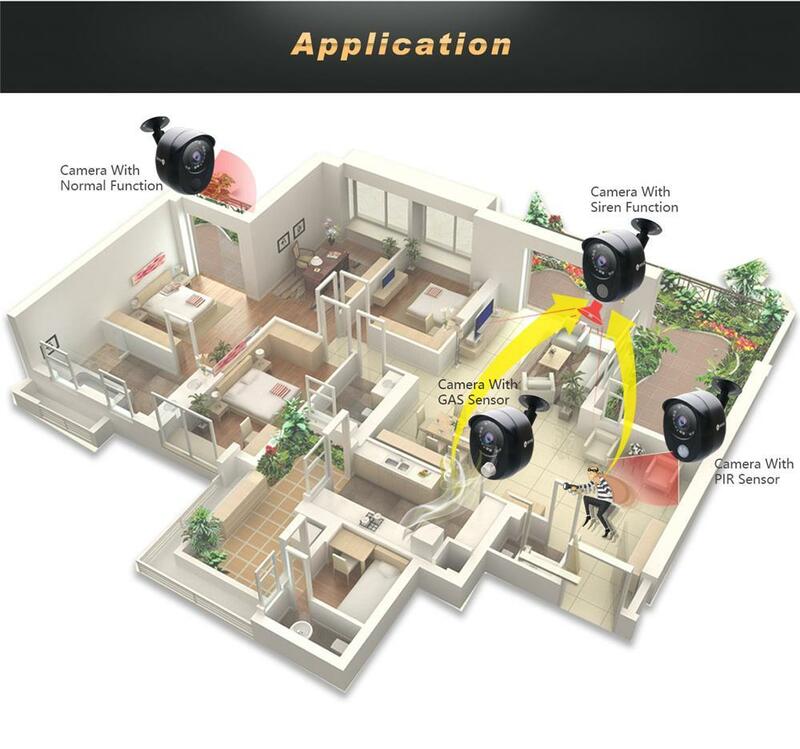 The camera with PIR sensor can make intelligent judgment of human identification, effectively overcome the false alarm, and the camera with gas sensor can detect the leak of combustible gas, loud sound alarm can be made by the camera with siren function. It’s easily installation, very convenient to use and widely used at home, office, market or other needed places. 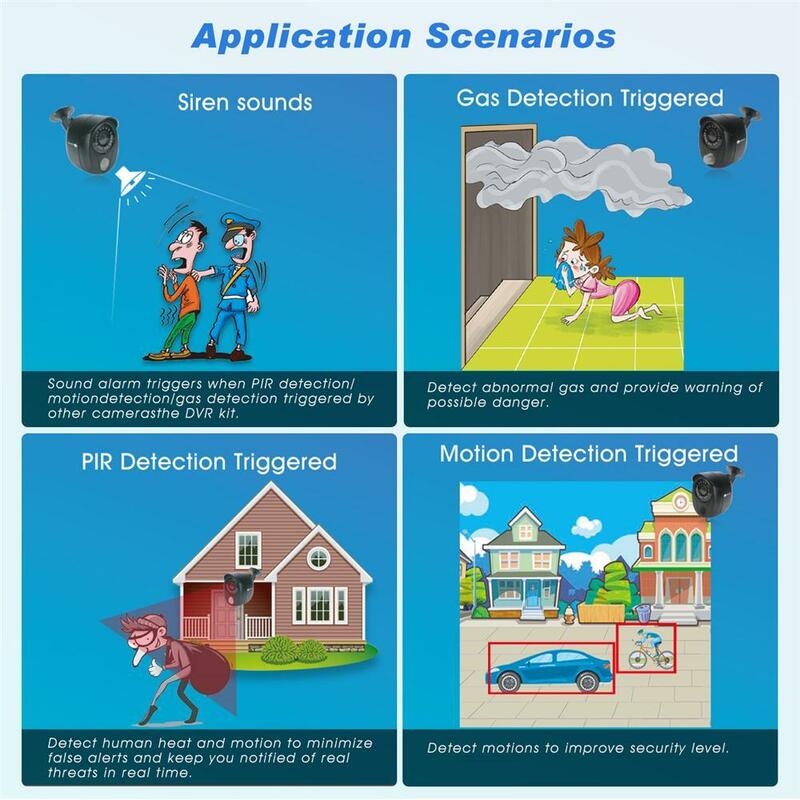 Intergrated monitoring system withPIR detection, Abnormal gas detection, Siren and Motion detection, which provides you fully proactive protection. 3. 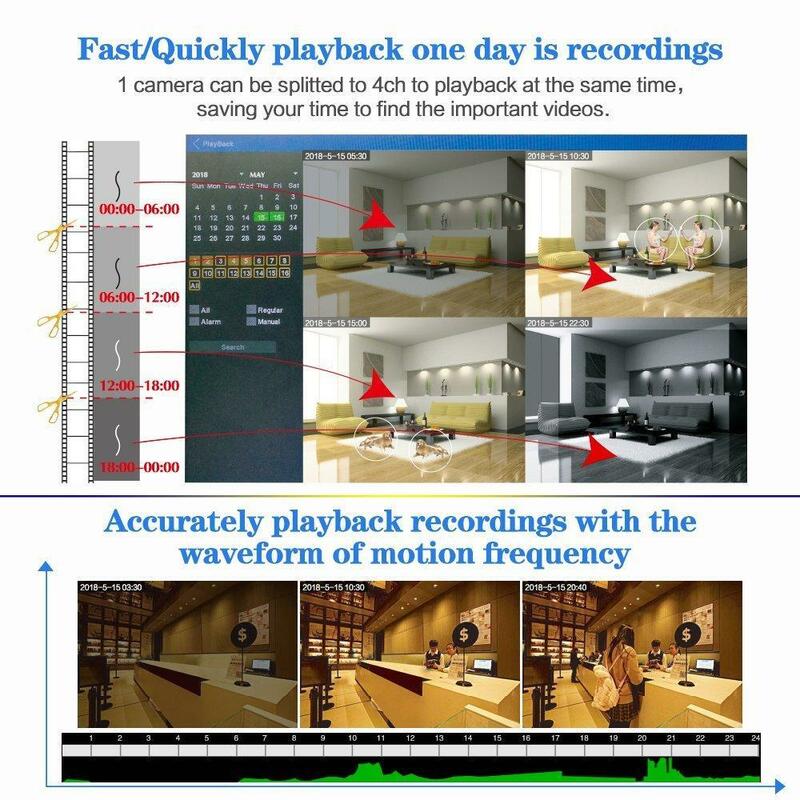 Accurately playback recordings with the waveform of motion frequency. 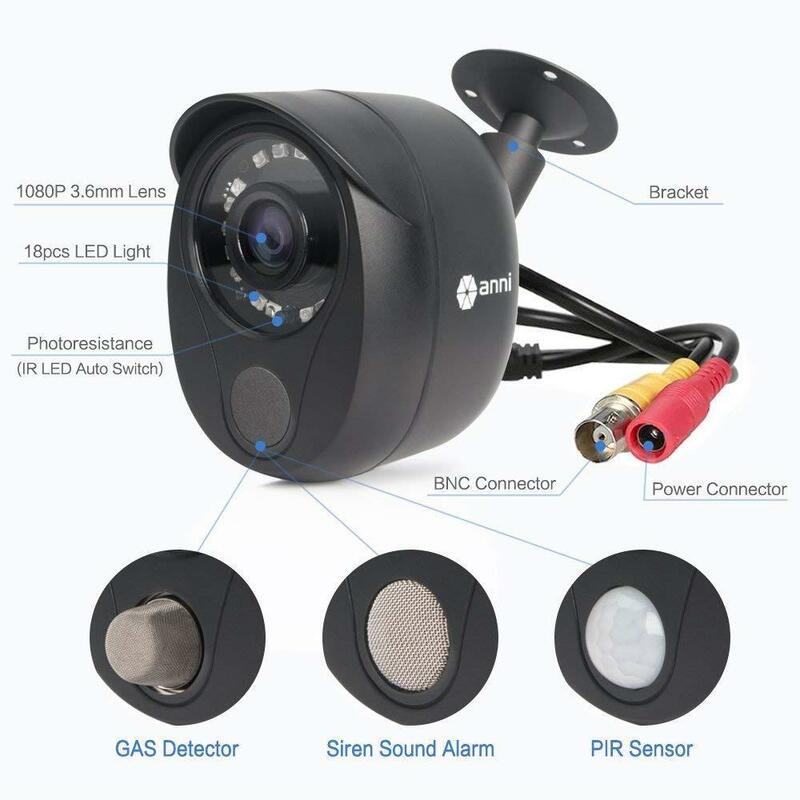 [Wide Angle View]These wide angle cameras provide 75 degrees field of view, which far surpasses the 42 degrees field of view of standard cameras. 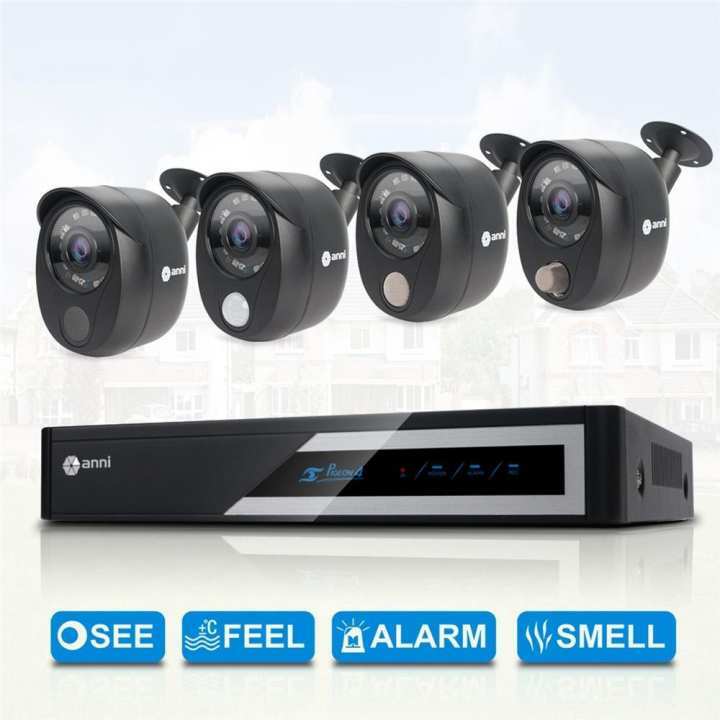 [Unique Function in the market]integrated monitoring system, the cameras firstly have inbuilt PIR detection, secondly inbuilt abnormal gas detection, thirdly inbuilt siren sounds and finally inbuilt motion detection, providing you with all-around protection for home and property. 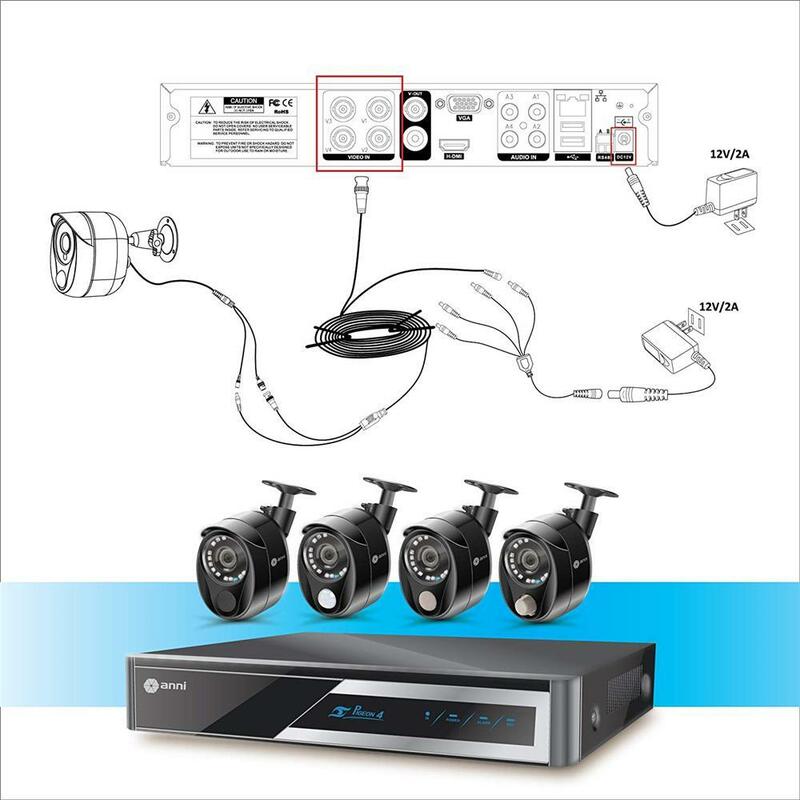 Easy DIY installation by user manual; also saves cost for separately buying and installing accessories just to cover the 4 inbuilt features we just mentioned. 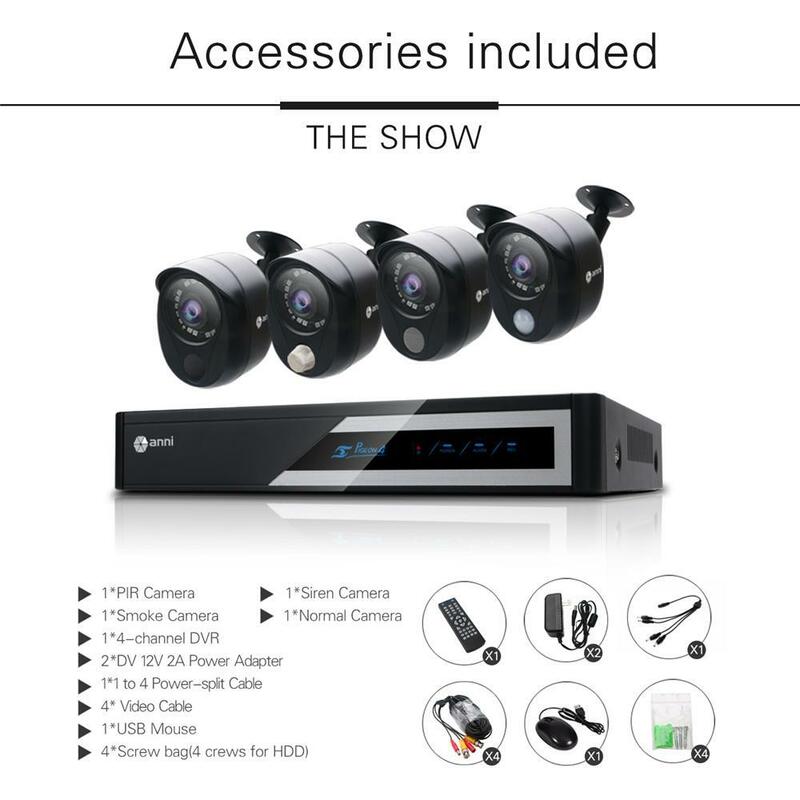 [Easy Remote View]ANNI fits right in with your mobile lifestyle by allowing you to remotely monitor your home or business with our exclusive and free "AnniCam" app for iOS and Android devices, making it convenient for motion-only recordings, playback and cloud service. 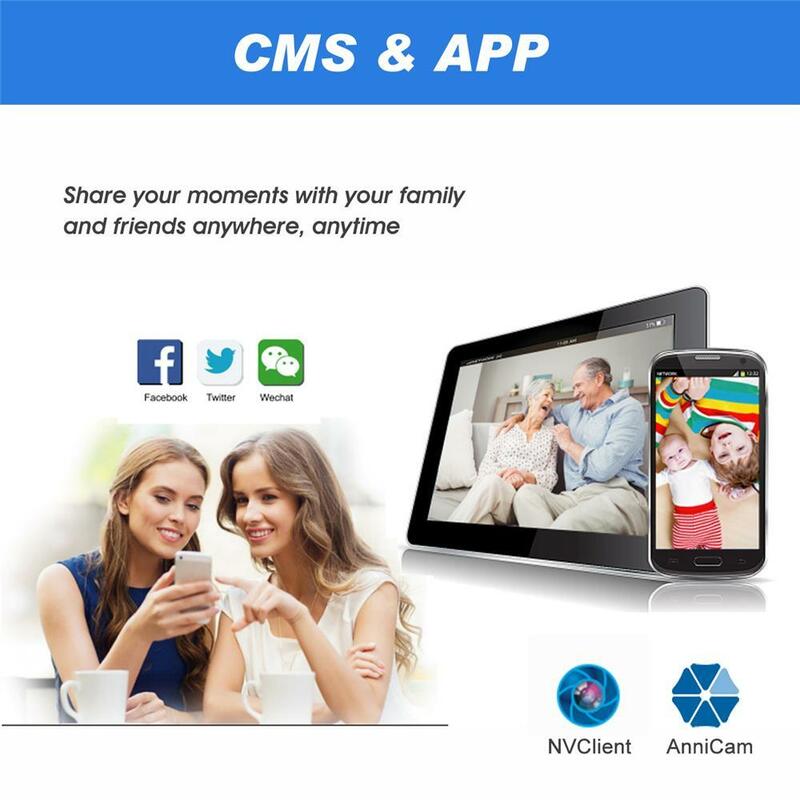 [One-click sharing]Anytime, anywhere, use the app's one-click sharing feature to easily share pictures and videos captured by the cameras, on Facebook, Twitter and WeChat. 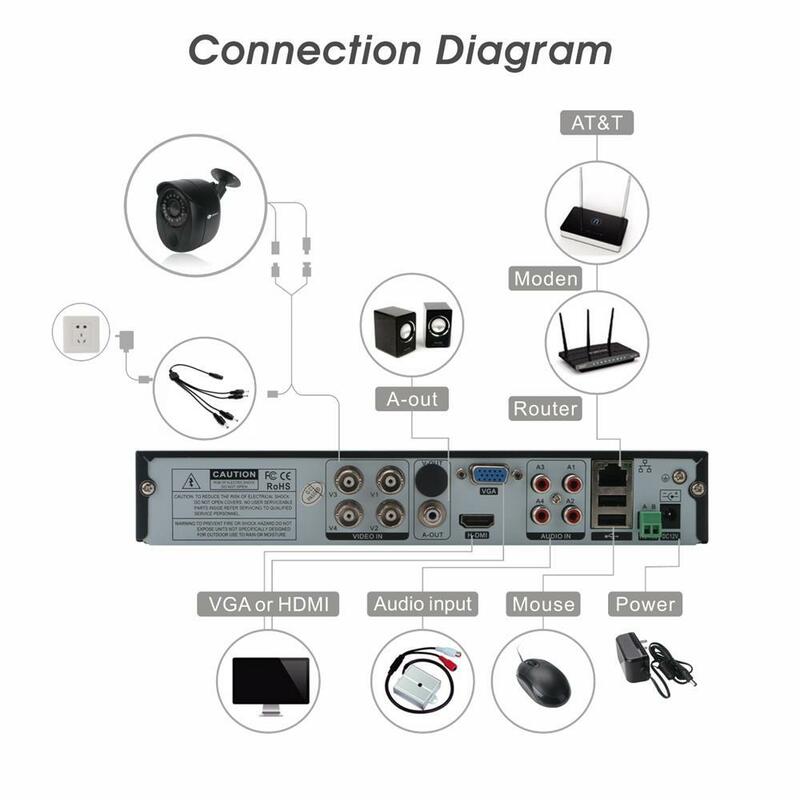 You can set smart alarm on DVR software interface or use the remote controller to enable / disable alarming quickly.